The JET RSB have a revised tip angle, revised jet shoulder width and revised internal geometry, with a gentle slope leading down to the exit. 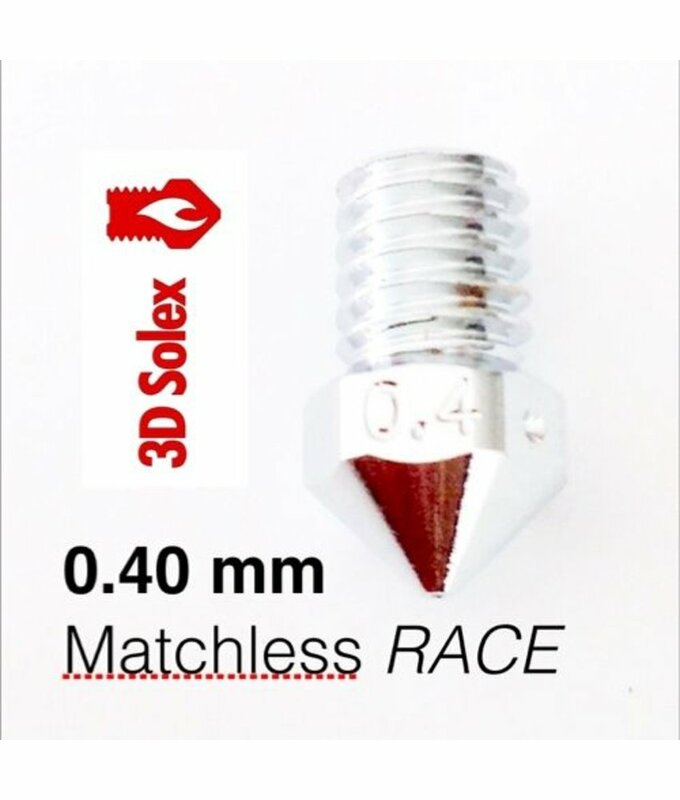 Optimized for 3D Solex V3 Block. Backwards compatible with "Olsson Block". This high-tech nozzle will significantly increase plastic output, completing prints faster. Alternatively, you can print cooler! Optimized for 3D Solex V3 Block. Backwards compatible with "Olsson Block". 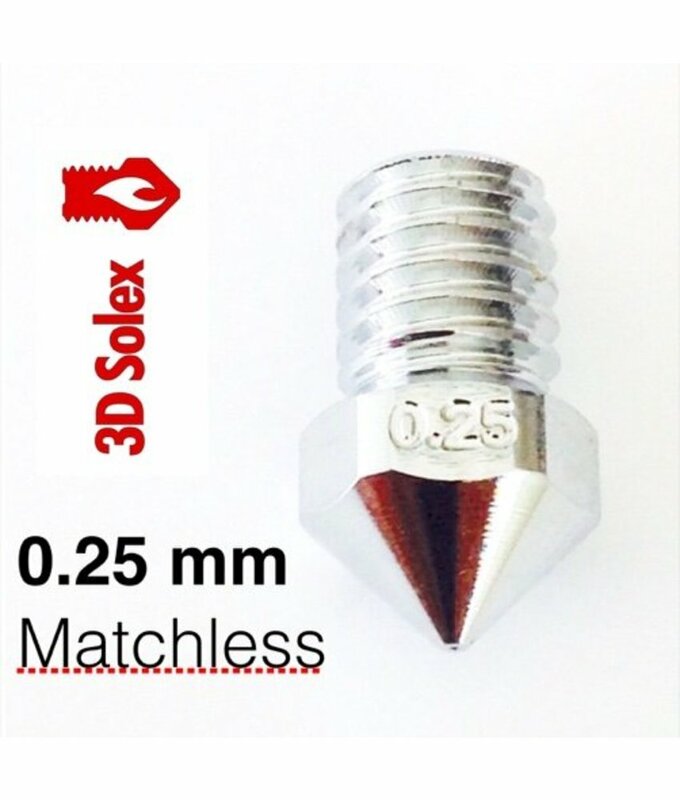 NEW Nozzle from 3D Solex! 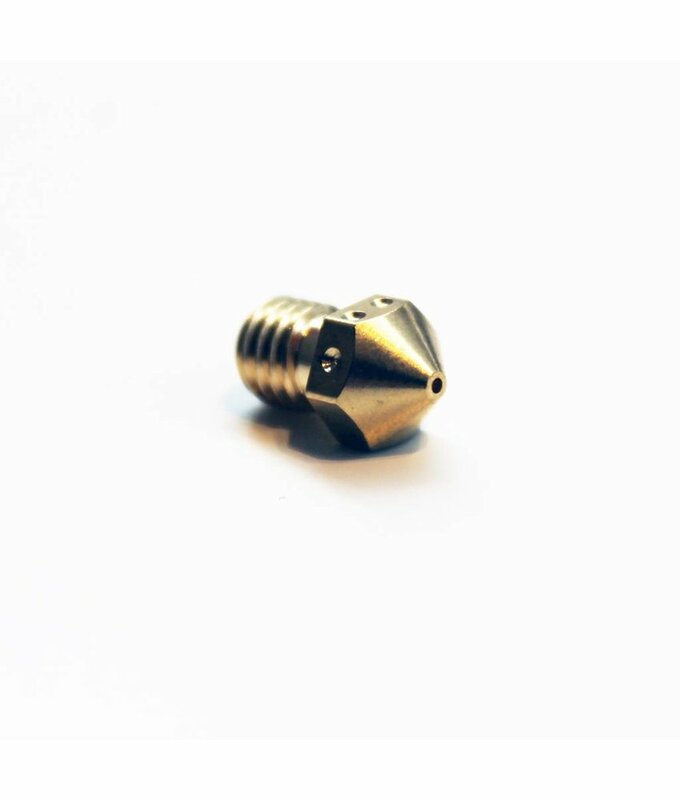 Slippery “ICE” nozzle, with brass core.